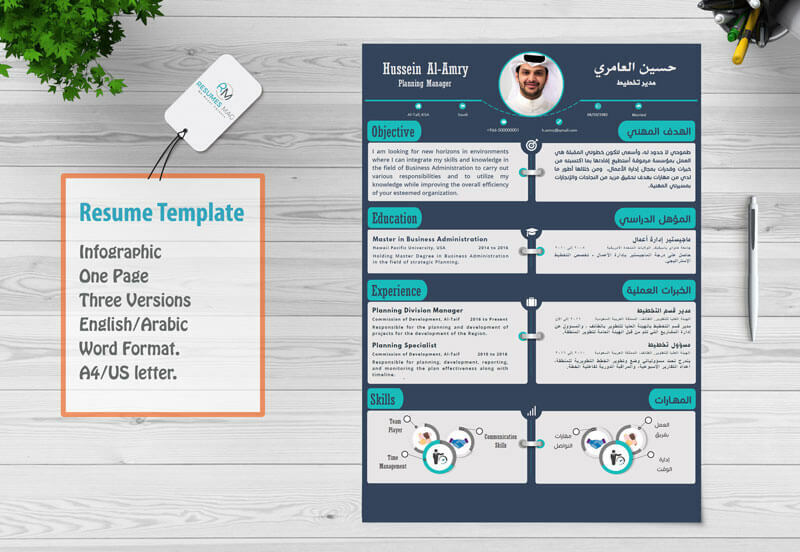 Bilingo – Bilingual English-Arabic Resume Template came with a unique design to satisfy the persistent need for a numerous number of ResumesMag clients. We put great efforts in it to be on the expectations level. 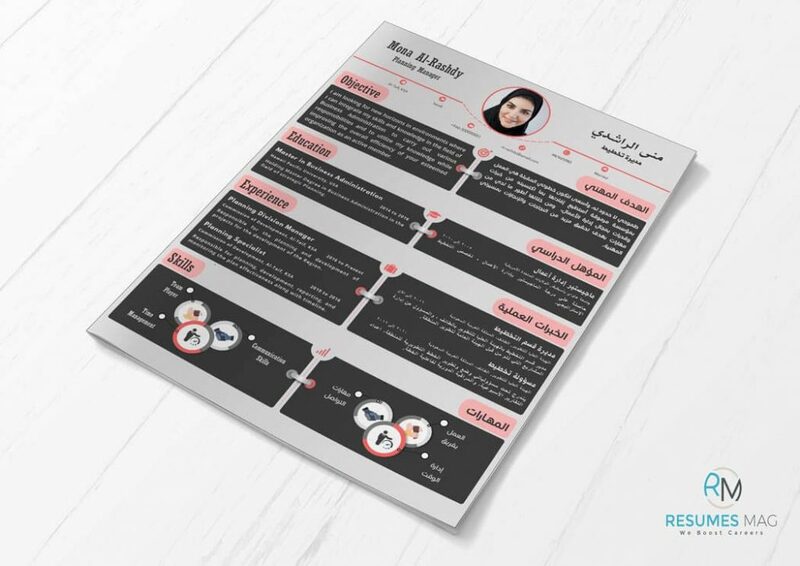 It is a One-Page Resume Template that is available in three different versions with different colors to match a wide range of customers needs. Editable Resume Template files in Docx format (in both US Letter and A4 paper size), With an easy layout to edit it using MS Word. 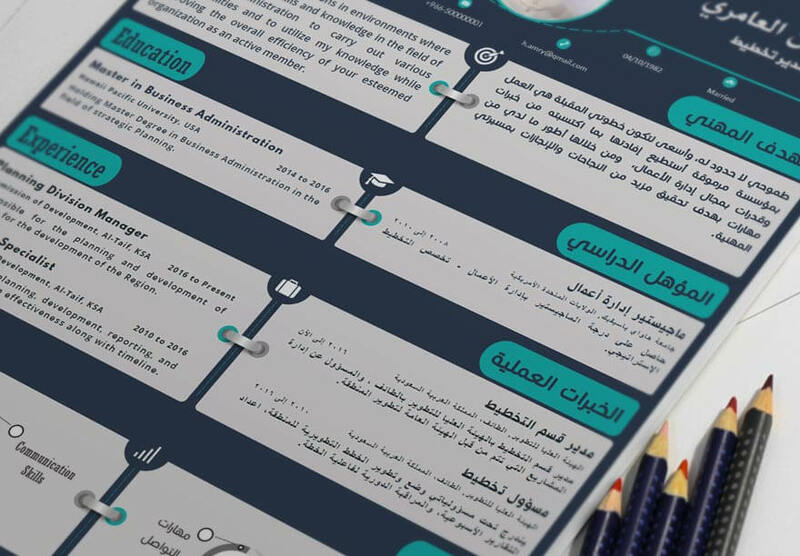 Three different versions of the resume template with three different colors. Readme file to make it easy to understand how to deal with the Resume. Previews in both JPEG and PDF Formats. Icons in Docx format file to ease the editing process for our customers. This Resume Template was made for MS Word 2013 and above versions, so you may find some incompatibility with previous versions of MS Word. We advise you to read Terms and Refund Policy carefully prior to apply for a purchase on Resumes Mag. Once you buy this design, you’ll be redirected to “purchase confirmation page” which has the template download link, also a download link will be forwarded to your email. The number of download times is unlimited, you can come back to visit your downloads page to access your items. Files versions for MAC devices are included. 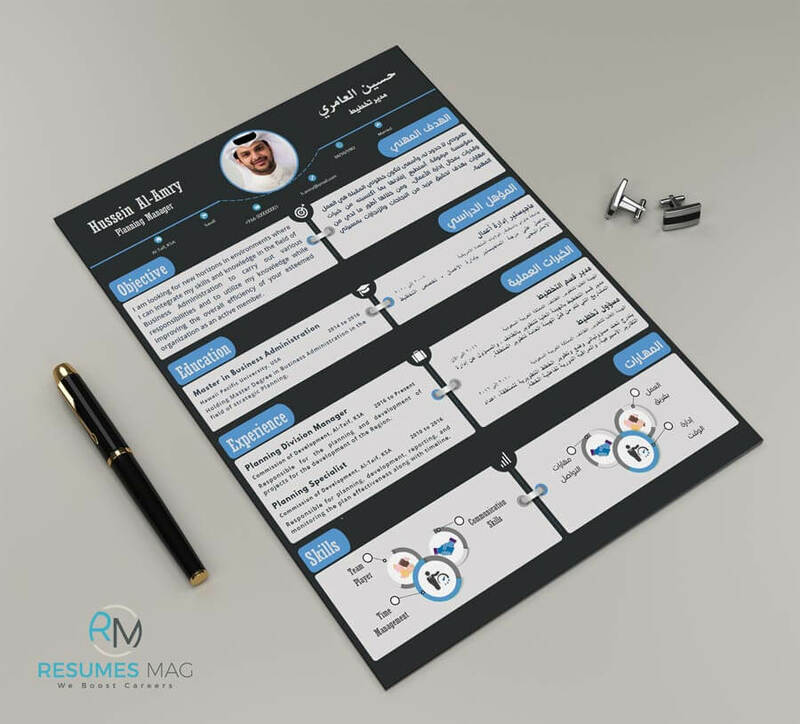 We used special Fonts, and it is all embedded in the Docx file of the resume template, so no need to download it. If you need more info about fonts, just contact us through the contact form, or you can open a support ticket. You can hire us to write your Resume, if you want this, after purchasing the resume template, just drop us a message on – write@resumesmag.com – and we will contact you for the next step. Pictures shown are for illustration purpose only, and not included in the package. Actual Product may vary due to product enhancement. All info in this Resume Template is fictional and doesn’t belong to a specific person. You can find more templates in our Resume Templates Shop.